He’s not as skillful a driver as the Englishman, nor quite as fast and he’s less accomplished in wheel to wheel combat. He knows that, but he applied and wasn’t daunted by losing two years in a row to Hamilton. After the humiliation of the way he lost the title in Austin last year, he vowed that he would never experience that feeling again. 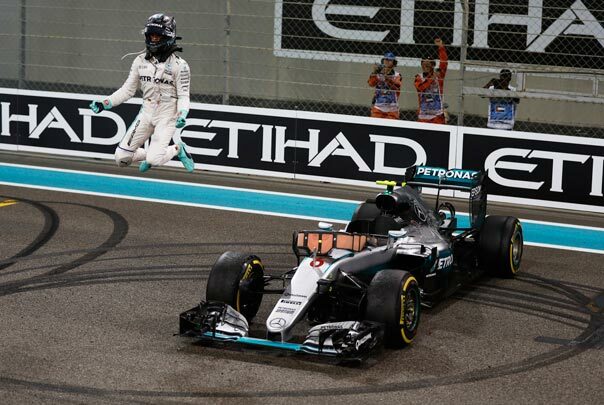 The German was the more consistent driver this season, but also benefitted from superior reliability. His record of qualifying on the front row of the grid for 27 races in a row speaks for itself. Hamilton had more pole positions and race wins, but he had some off days too and made poor starts on four occasions, which cost him points. Hamilton has the unenviable record of having seen a team mate win a world title in the same car, which is never easy to accept. It’s not been a great season for Ferrari. They started the year with high hopes and had a chance to win the first race in Australia. But a strategy mistake cost them and it was downhill from there on. They ended the season with a strong strategy and a podium for Sebastian Vettel, which sends them into the winter with reasonable confidence. The 2016 car had quite a serious weakness: it operated in too narrow a window of temperature. To get the tyres working perfectly was a struggle if the track temperature was too hot or too cold. A winning F1 car is always versatile. The change of front suspension design this year gave Kimi Raikkonen the feel for the front end of the car that is so important to his cornering style and he really soared; outqualifying Sebastian Vettel 12-9 across the season, including the last four races. Vettel had a poor year – his second in three seasons. He began the year with a string of podiums, but then after the European Grand Prix in June he scored only one further podium in 12 races before Abu Dhabi. 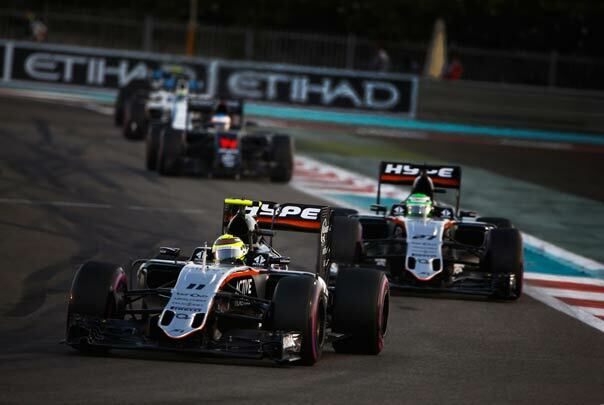 Force India confirmed their fourth place finish in the F1 constructors’ championship, beating Williams into fifth. Considering their relative budgets, that is quite an achievement, especially as some of their staff have been poached by top teams. The core engineering team at Force India is very talented and clearly very efficient in terms of getting plenty of bang for their buck. From Spain onwards they were serious contenders outside the top three teams and both Hulkenberg and Perez scored significant points on a regular basis. Williams meanwhile has gone from third in 2014, the first season of the hybrid turbos, to fourth last year and fifth this year. The car this year wasn’t fast enough and they made quite a few strategy mistakes. Next year they have to respond, but with Canadian teenager Lance Stroll coming in to replace Felipe Massa, the pressure is going to be really on him to score serious points from the outset in order to get Williams back into the top four. The task will be made more difficult by factory backed teams Renault and McLaren Honda progressing up the grid.